WASHINGTON (9/8/15)--CUNA, CUNA Mutual Group attorneys and legal experts from Ballard Spahr LLC provided a thorough overview of issues facing credit unions relating to the Telephone Consumer Protection Act (TCPA). The Federal Communications Commission (FCC) issued a declaratory ruling on the TCPA in July, which affects credit unions and others that use automated telephone dialing systems, otherwise known as autodialers. 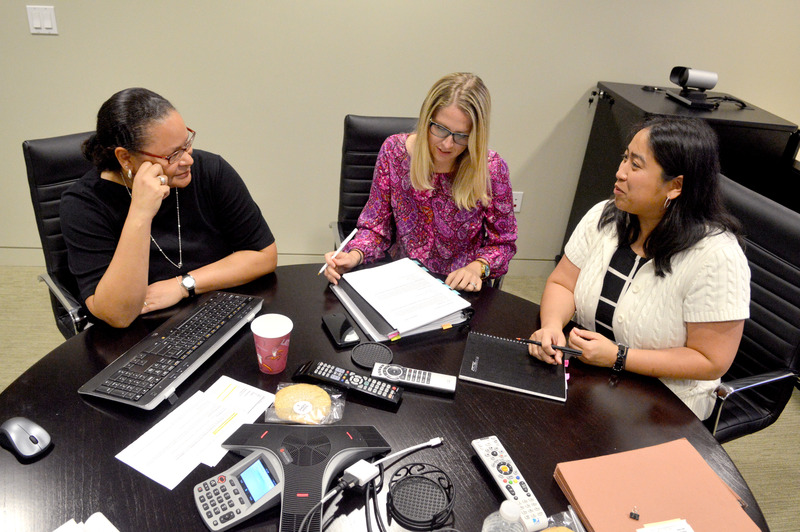 From left, Valerie Moss, CUNA’s senior director of compliance analysis, Leah Dempsey, senior director of advocacy at CUNA and Kim Phan from Ballard Spahr LLP discuss how the TCPA could affect credit unions.